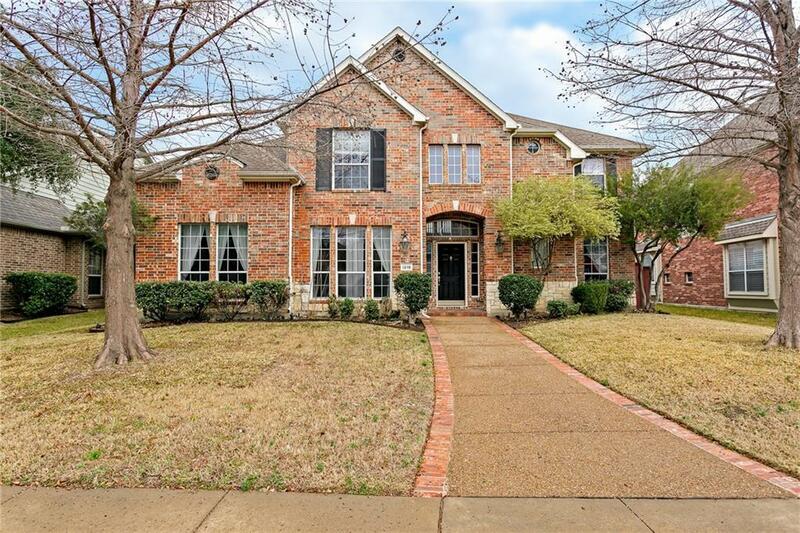 BEAUTIFUL AND SPACIOUS HOME IN DESIRABLE WATERFORD CROSSING COMMUNITY AND ALLEN ISD! Grand entry welcomes you into a lovely two-story living area with wall of windows overlooking landscaped backyard. Gorgeous, gourmet kitchen with granite counter tops, large island and abundant cabinet space. Relax and unwind at the end of the day in your serene master bedroom retreat or upstairs in your oversized media room which is pre-wired for surround sound. Enjoy the community pool, playground and walking paths. This exceptional home and floor plan is a must see!